Please do not stare directly into the rhinestones on my jumpsuit. They will blind you. 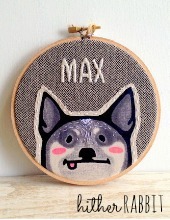 I have finally returned from my self-imposed exile from the foodoblogosphere. I have earned black belts in all the martial arts. I’ve climbed the big seven mountains. And I’ve beaten that guy’s record for jumping out of space in a balloon. Ok really, I haven’t been doing much of anything. Just work and Netflix and…well that’s more or less it. But I watched The West Wing for the first time and damned if I wasn’t feeling the most patriotic that I’ve ever felt. So with the national presidential vote a few whatevers away, I figured I’d do my democratic part and participate in the next best election: the Lay’s Do Us a Flavor contest championship tournament contest. Our greatest president, Josiah Bartlett, would be proud. Here we go. 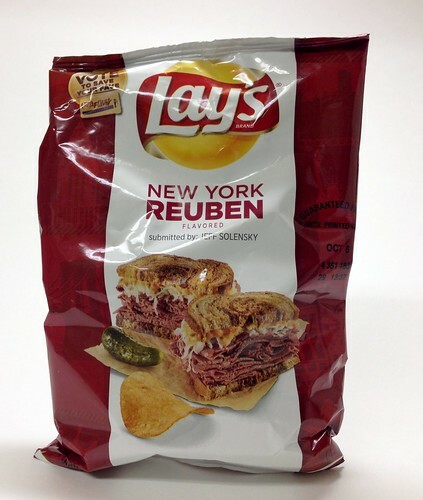 New York Reuben. Pretty strong right out of the gate. Nosegrope has lots of rye and meat scents. I think rye is the dominant flavor overall, but it still leaves lots of room for the meat and sauerkraut. I think there’s even some Swiss in there. The flavors ebb and flow as you eat. It’s not a mad dash up front. 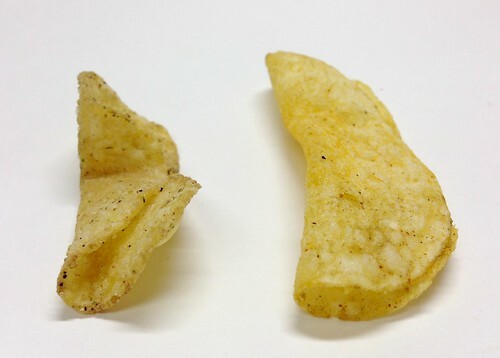 This is a well-balanced chip. Good. 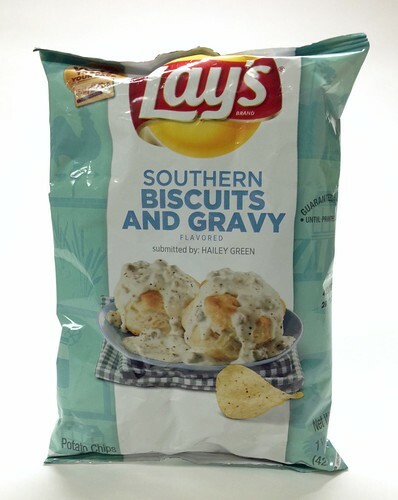 Next up, Southern Biscuits and Gray. Lots of biscuit-ness upon opening the bag. Makes me want to go to Bob Evans, I mean that totally local southern place I go to because I’m cool. The taste is spot on. Faintly sweet biscuits. A little peppery. Some sausage hidden in there. Same ebb and flow of layers as the Reuben. Good. 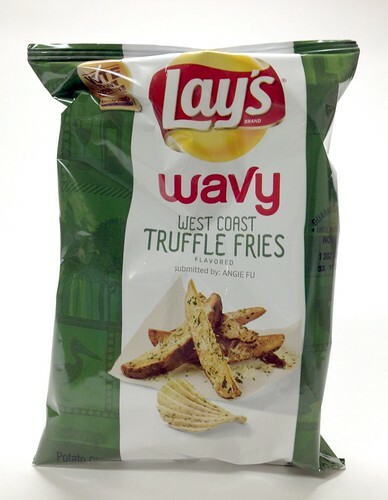 West Coast Truffle Fries. Of course California went with the fancy pants offering. You think you’re better than us, California?! What are you trying to prove, man? The nosegrope didn’t really lead me into the woods with my pig. There are some herb notes, maybe some cheese. These are definitely the most subtle tasting of the bunch. I definitely got some that good, deep, earthy truffle goodness in there. And the aforementioned herbs and cheese, too. I think the softness of the wavy architecture enhances these. 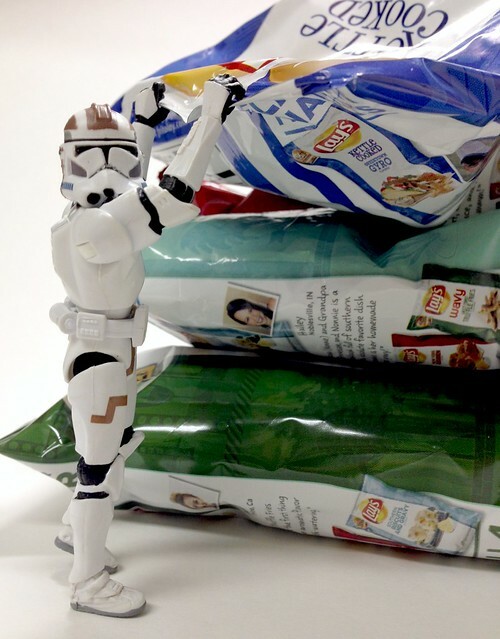 These would hold up best to some seriously heavy snacking. I could eat these for a while and not feel anything coming out of my pores. Solid. Greektown Gyro. I love me some Greek food, much to my wife’s chagrin. She’s not a fan. At all. She says Greek food tastes like BO. I’m going to have to secretly slip her one of these. Aaaaaaand she didn’t like it. “Blerg.” Very forceful meat and spices in the nosegrope. 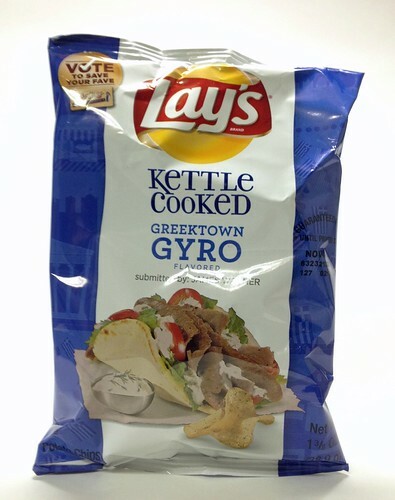 The gyro seasoning is good. Works well with whatever meat flavor we’re supposed to be tasting. Does it matter? There’s lot of tang in the tzatziki and some hints of tomato. Pleasant but very powerful. Greek food is not subtle. And I don’t usually go in for kettle chips, but the crunch works here. Though I’d probably eat the fewest of these. They’re like The Wire. Good, accurate, but how many times are you gonna make your way through? If I had to pick a favorite, I’d probably say the Truffle Fries. But they’re all pretty good. 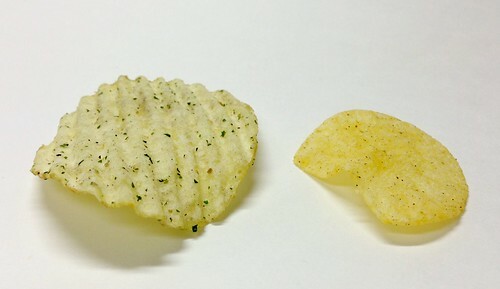 It’s like Lay’s makes chips for a living or something. See you next time. In two weeks or two years! No promises! CJ Cregg in 2016! Good to have you back…sort of! Welcome back, however long you stay! Good to see your assistant is still with you, that put a smile on my face. Haha, stop. Temporary at best. I take what I can get! I stumbled upon your blog by accident after searching around for the inevitable debunking of the bulletproof diet. Do I have timing or what?! I will probably need binge reading your words on the subway today. Happy writing and Netflix binging. Haha thank! That’s a lot of reading. You’ll get sick of me pretty quick!